Elegant is the perfect word to describe this lovely and unusual coin. 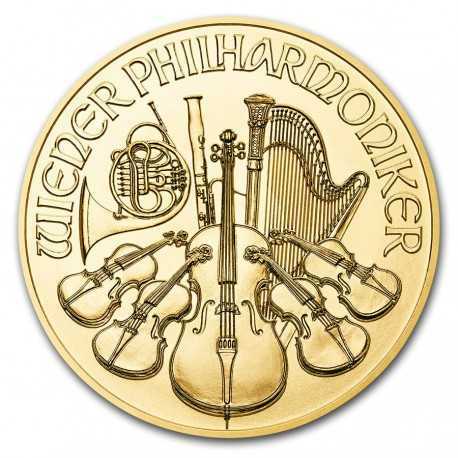 It was created to honor the renowned Vienna Philharmonic Orchestra, one of the finest musical ensembles in the world. A harmonious design of musical instruments represents the world famous orchestra on the reverse. 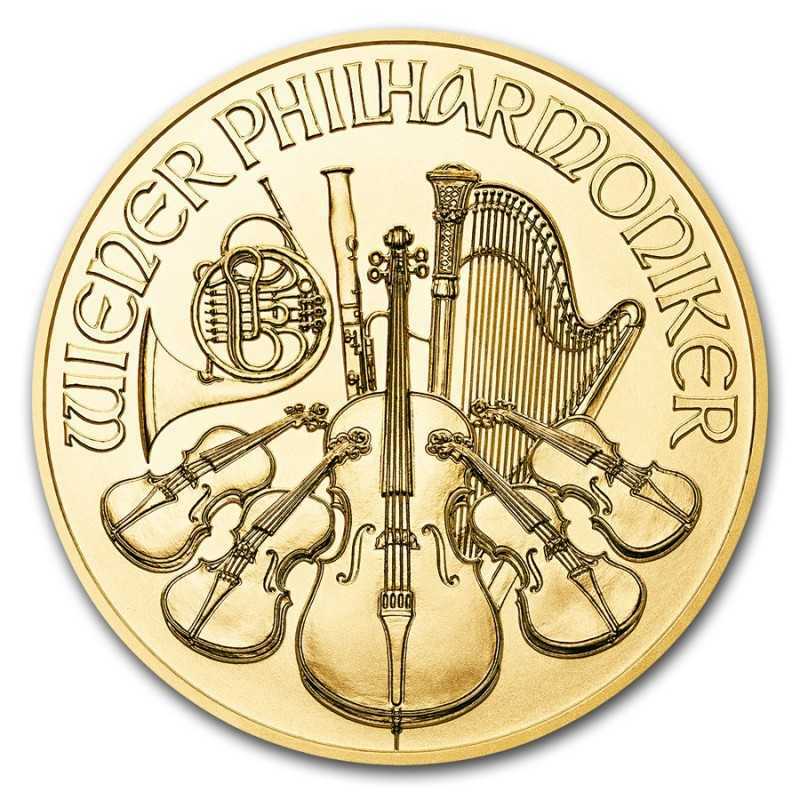 The obverse depicts the Great Organ of the Golden Hall in Vienna’s concert hall, the Musikverein. Many collectors and investors consider this to be one of the most beautiful of all gold bullion coins. The Philharmonic is struck in a fine quartet of four sizes.